Our mission here at Readwise is to improve the practice of reading through technology. This started by making it easy to consistently review your notes and highlights from ebooks, such as Amazon Kindle and Apple iBooks. But today we're excited to announce an integration with Highly, making it easy to consistently review your notes and highlights from anywhere on the web. Highly's mission is to become the internet's highlight layer, and they're well on their way. 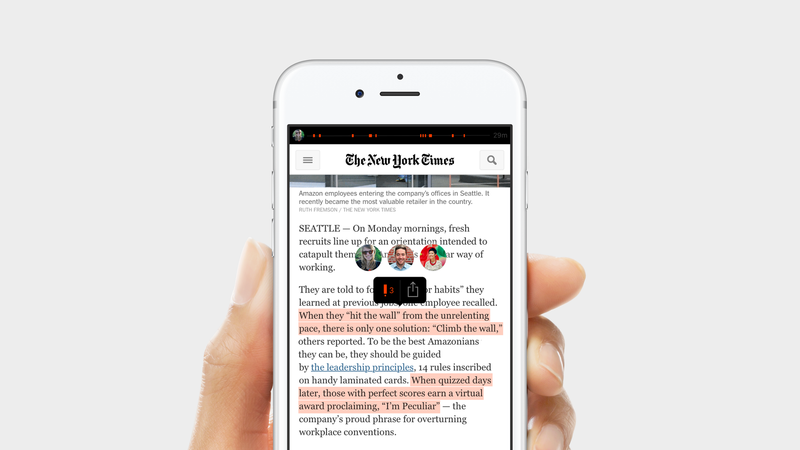 With Highly's Chrome extension and iOS app, you can highlight and share darn near every app and website right as you read. Why just read the web when you can read and capture the important parts for later? And why just share an article with a friend or colleague when you can graciously share a highlighted article instead? This is the true promise of Highly: as more and more people highlight the web, Highly's highlight layer enables you to quickly scan articles and get the gist before deciding to dive in, saving you precious time and attention. And this time is scarce. The amount of time people spend reading has tripled since 1980. This isn't because people are reading more words in books: it's because people are reading more words on screens. Now you can get a greater return on this invested time using both Highly and Readwise. If you haven't already, sign up for Highly and Readwise today and start consistently reviewing the best parts of what you've read on the web.